Every cell, every muscle, and every organ in the body is covered by a membranous sheath, or fascia. Connecting every tissue of the body, the fascia links the various parts of the inner body into one integrated whole. The fasciae that cover the heart, lungs, stomach, liver, kidneys, and all the other organs of the body have protective, regenerative, and nourishing properties. These fasciae act as energizing chambers for the organs. In the therapeutic bodywork techniques of Hellerwork and Rolfing, the fasciae are worked from the outside in. Rolfing involves freeing layers of fasciae that have become stuck together through trauma, infection, or chronic muscular tensions. Iron Shirt works from the inner layer of fascia outward. The fasciae are extremely important in the practice of Iron Shirt because, as the most pervasive tissues in the body, they are believed to be the means whereby chi is distributed along acupuncture routes. Research has shown that the least resistance to the flow of bioelectric energy in the body occurs between the fascial sheaths. When the fascial routes have been charted, they have been found to correspond to the classic acupuncture channels. When filled with chi pressure, the fascial layers covering the organs will act as energizers for the organs. Extra chi pressure will escape to the abdominal fascial layer and fill the abdominal cavity. When the abdominal cavity fills with chi pressure, that chi will start to fill the deep fasciae and, finally, fill in the outer layer of fascia, acting as a triple layer or cushion that protects all of the organs, muscles, and glands. To better understand how the fasciae, the organs, and chi relate to one another, picture an egg residing inside an air-filled balloon, which itself resides inside another air-filled balloon, both of which reside inside one more balloon. An egg is normally quite vulnerable, but inside an air-filled balloon it is cushioned against blows. The egg has even greater protection inside a triple layer of balloons: you can throw and kick these three layers of balloons and the egg will remain unharmed. Chi and the fasciae act in the same way to protect the fragile organs. The fasciae are elastic and protective, like balloons. The chi, expanding as the air expands within the balloons, creates pressure to fill the fasciae, which surround the organs like the balloons surround the egg. People who are so unlucky as to be hit in their vital organs become seriously injured. When the vital organs are injured, life can be endangered. But with the practice of building layers of protection into the organs, you greatly reduce the risk of unexpected injury. You might even save your own life. When chi pressure is reduced by sickness or a weakened constitution, the organs collapse in upon themselves, becoming compressed and energy deficient. From the fasciae, Iron Shirt extends to involve the bones, tendons, and, finally, the muscles. Food that is taken into the body but is not required by the body is turned into fat and stored in the outer layers of fasciae. This fat will greatly reduce the conduction of chi throughout the body. The Iron Shirt Packing Process helps to condense and squeeze the fat, transforming it into energy to be stored in the fascial covers of the organs for use whenever it is needed. When chi pressure occupies the fascial layers, fat cannot be stored there. The body thus becomes trained to convert fat into chi energy for storage in the fascial layers. When the fasciae are filled with chi, the tendons are strengthened and the bones hold together as one structural unit. When the fasciae are weak, the muscles are weakened and the bone structure will not hold together. Similarly, when the muscles are weak, both the fasciae and the tendons are weak. When muscles are not used they diminish in size and strength, as do the fasciae, which contain the muscles, and the tendons, upon which the muscles pull when activated. When we are young our bones are filled with marrow. Through adulthood the bones gradually hollow out, filling with fat and producing fewer blood cells, until they become brittle and susceptible to fracture. 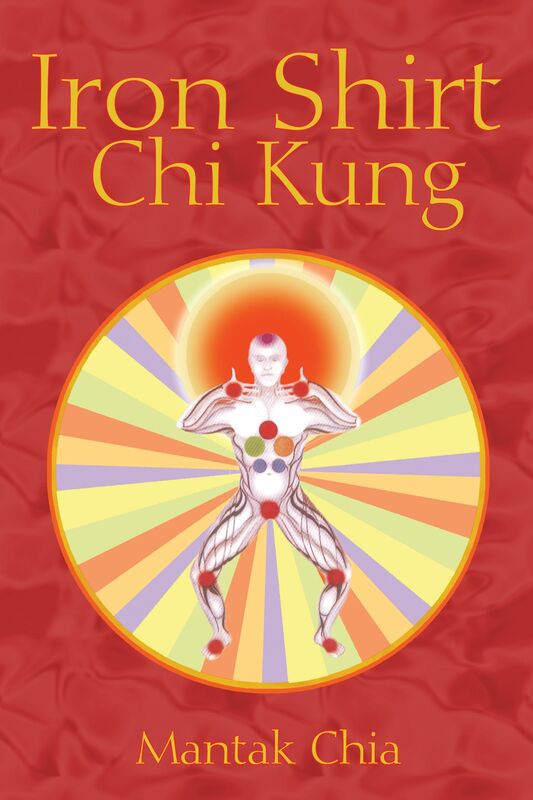 Iron Shirt Chi Kung is designed to gradually reabsorb the chi life force back into the bones, which can then be transformed into bone marrow to strengthen the bone structure.